legs showing dinosaur costume video from Zigong Jamy Science & Technology Co.,Ltd. Zigong Jamy Science & Technology Co.,Ltd. 01:06 Walking dinosaur rides Zigong Jamy Science & Technology Co.,Ltd. 00:13 Animatronic animals Zigong Jamy Science & Technology Co.,Ltd. 00:21 Electric dragonfly Zigong Jamy Science & Technology Co.,Ltd. 00:50 Animatronic crocodile Zigong Jamy Science & Technology Co.,Ltd. 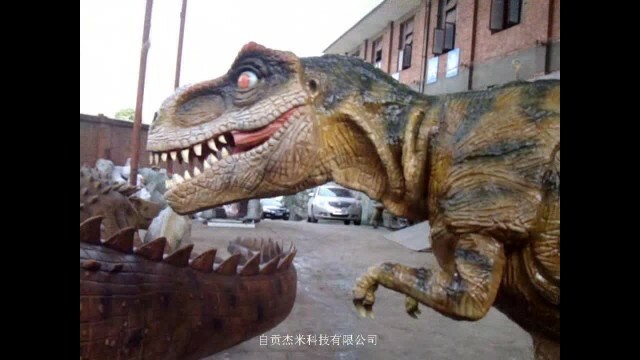 00:35 The dinosaur pulls the car Zigong Jamy Science & Technology Co.,Ltd.